​Hellebores are the true harbinger of spring. They can be grown in the garden, in containers and they can provide lovely, long lasting cut flowers in the house. ​They are very hardy! Hellebores bloom for a long time, and have attractive foliage year round - and they're virtually animal proof!!! The only time they might be vulnerable to animal nibbles is when their new shoots are appearing. ​They HATE being moved, so take the time to choose your site and prepare it well. Feed in the fall – they grow in the winter. They don’t need splitting and since they typically are slow growing, why would you? 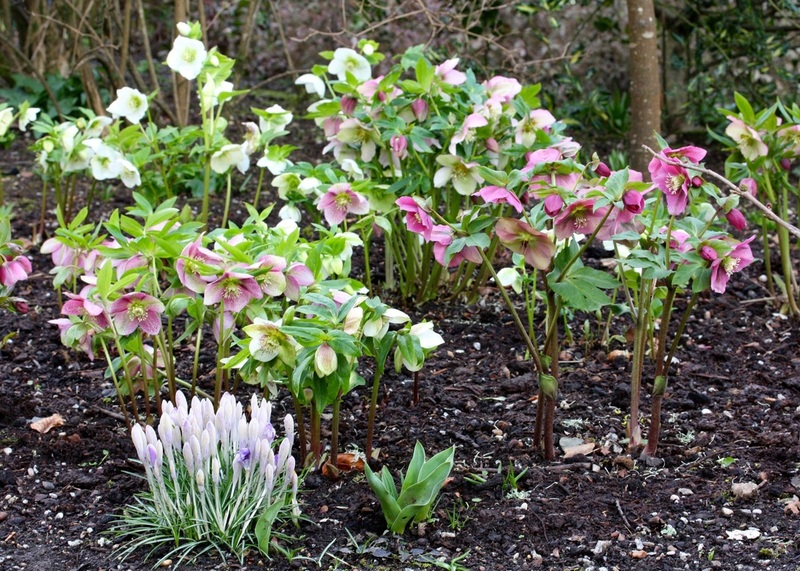 Hellebores are relatively pest and disease free! Watch for aphids on young plants and treat quickly with an insecticidal soap (this goes for any plants that you notice are being visited by aphids - they multiply quickly so treat them before they get out of hand). Black spot can appear on foliage if the season has been particularly wet and the plants aren't getting enough air circulation. Clean the ground around your plants and remove and destroy any affected leaves.